It’s been a while since I shared with you some of my favorite Instagram accounts around here ! 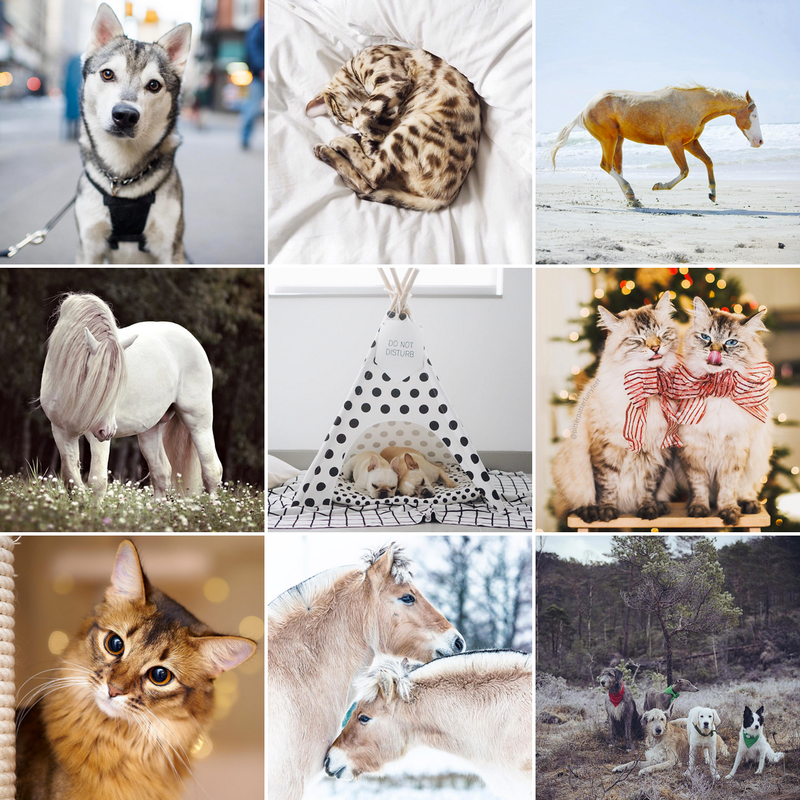 After my Lifestyle and Brands, I’m back with a few of my favorite accounts about pets. Honnestly, who never exchanged friendship jewels with their best friend when they were younger (except maybe for people living in caves, I mean) ?! I still remember those brasilian bracelets we made and exchanged in high school, or even before that, in junior high, those tacky little heart shaped necklaces that were broken in two pieces, one with “Best” carved on it, and “Friend” on the other half. So 90s. But when you think about it, how cute was it ?! Because let’s face it, a best friend kind of is THE main ingredient to a your personnal thriving, right ?! To me, my best friend is Joey, my dog. Yeah, it sounds like I’m the crazy dog lady, but that’s just it. Although I do have a few human best friends, in a daily manner, he’s the one for me. He’s always there, always happy to see me, listens to every single word I may pronounce, boosts up my mentality when I’m feeling down, changes my mind when needed, makes me laugh like 300 times a day, so basically, besides getting hammered at the local pub or giving me doubtful life advices, he does pretty much everything I should expect from a biped best friend. 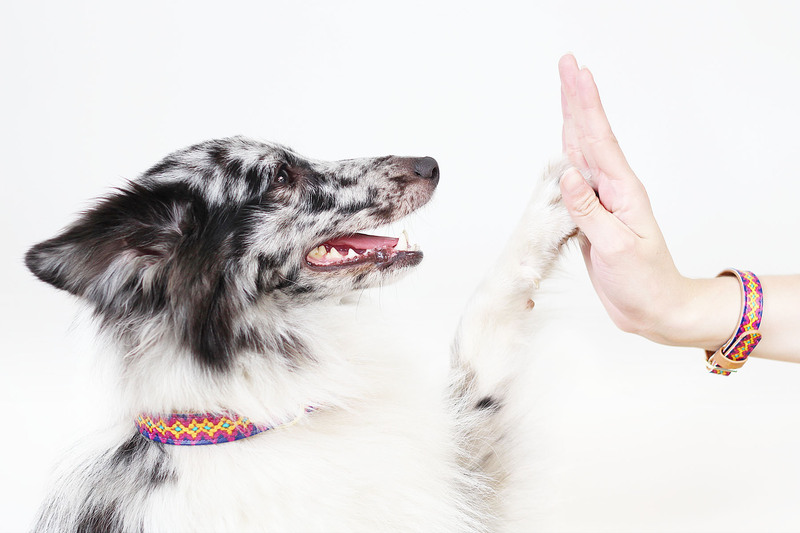 So you can imagine how thrilled I was when I discovered this summer the Friendship Collar brand, which, based on the concept of friendship jewels, create beautiful matching collar and bracelets for your pet (dog or cat) and you ! A way to show the world that you belong to the same pack. You can even push it a little more further by getting a matching leash, or even get additionnal bracelets for your whole family ! I went for a colorful and ethnic pattern that actually looked like one of those brasilian bracelet I was telling you about right above, but I really love the whole collection that offers really basic and plain collars or more crazy patterns like jeans, snakeskin, flags, stripes, dots, tartan, leopard and many more. Every collar are available in 8 different sizes which is so great compared to most brands that only offer S/M/L sizes that never fits your dog, so there’s absolutely no way you won’t find a collar for your pet there ! But what I loved the most about Friendship Collar is the animal friendly approach of the concept that matches perfectly with the whole concept : all products are made with fabrics or PU faux leathers. It’s not that I’m against the use of leather in general (as long as it’s good quality and correctly treated), Joey’s usual leash and collar are made of leather, but I do appreciate the fact that they communicate upon love, friendship and respect towards animals in general and that they stick to this choice to the very heart of their products. 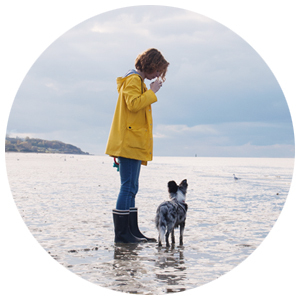 It’s a real great find and I love the fact that it visually seals the bond between my dog and me ! Here are the pictures and short video I made for the brand ! You can also discover our portrait on Friendship Collar’s website and learn a little more about our friendship ! WoufBox, the doggy box ! You know that my dog is my everything. There’s nothing too good for him, actually I could totally say that I’m more careful with him that I am with me ! Sometimes, I wonder if it’s even possible to love something or someone more than I love that little fluff ball… Yeah, really ! So, basically you can figure out that when I heard about the WoufBox, I felt it was the best idea ever and wanted to try it really bad ! For me who’s always looking for new and funky things to make Joey’s days even better, I thought I really couldn’t find anything better ! But what is this WoufBox thing ?! Well, besides the fact that it’s made exclusively for our little furry friends (there’s also a MiaouBox, for kitties), it’s basically the exact same concept as all of this beauty, food or deco boxes : You fill in your pet’s profile (name, age, size, breed and hairtype), you choose a subscription option (monthly, 3, 6 or 12 months) and there you go, your doggy will receive a new box each months, filled with treats & toys, accessories and care products (between 5 and 6 products per box). You’ll be sure to make your pet the happiest member of your family !!! So yeah, when WoufBox offered me to try the box from August, I was so ecstatic for my boy ! I can definetely tell you that when I received the box, Joey instantly know that it was for him, you should have seen how he was jumping to reach the box !!! 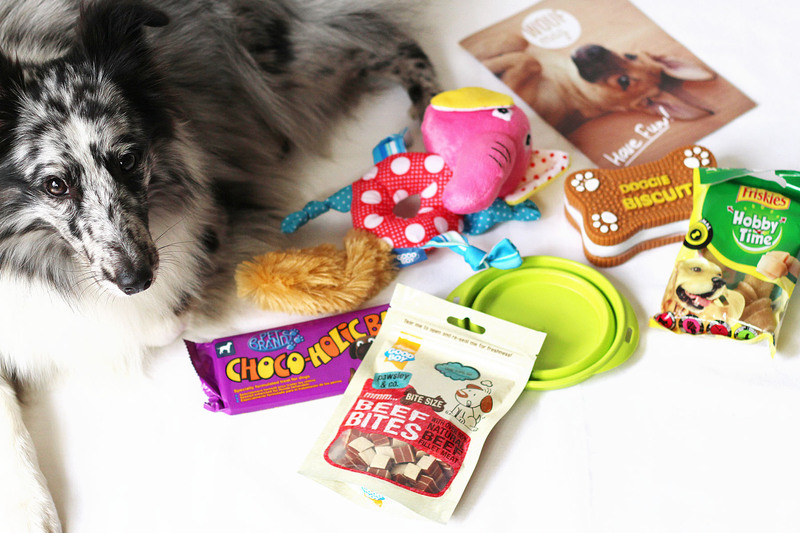 So here are our thoughts on this August box !